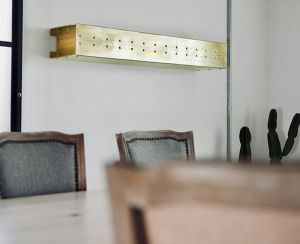 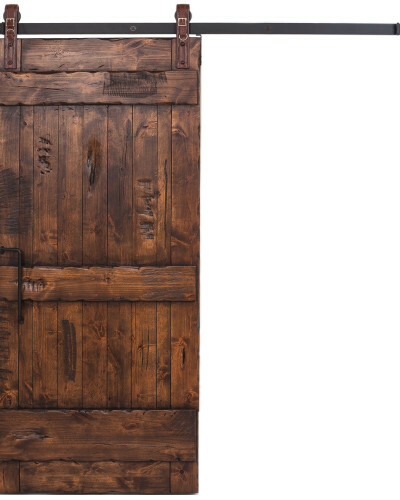 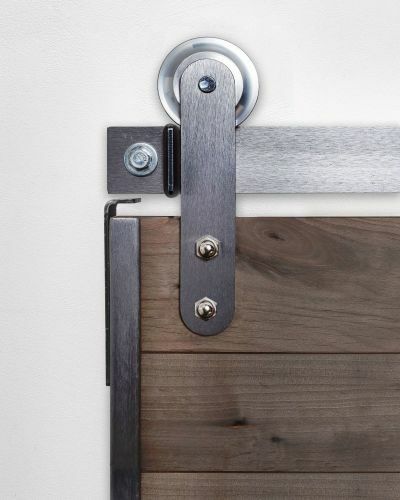 Barn door hardware with a strong industrial make. 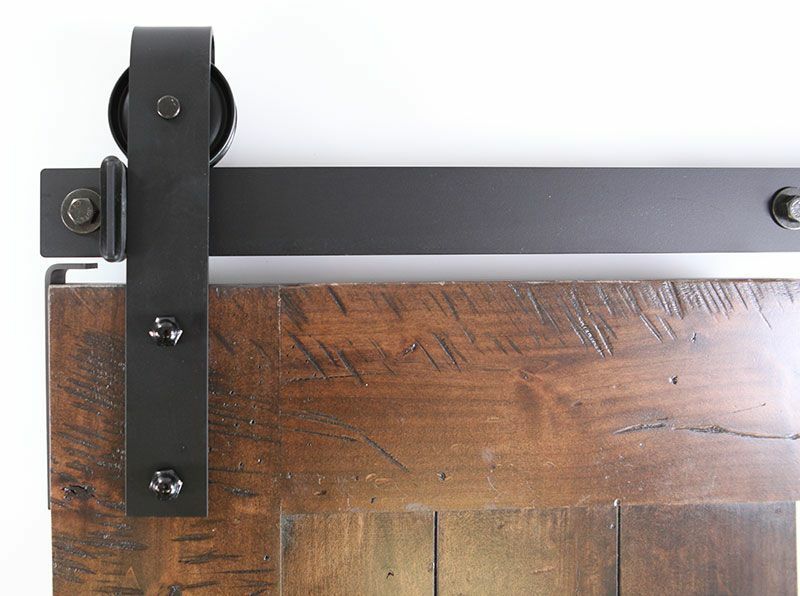 Our best-selling hardware! 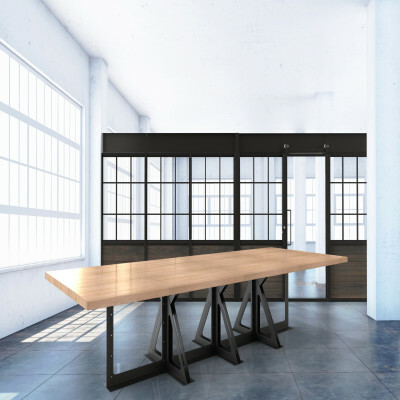 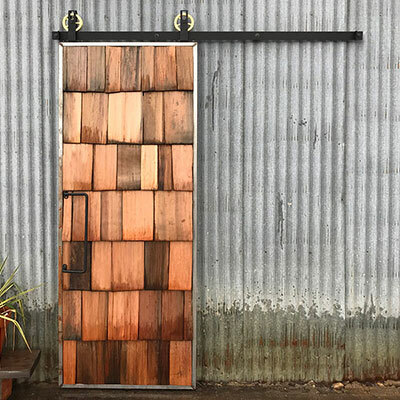 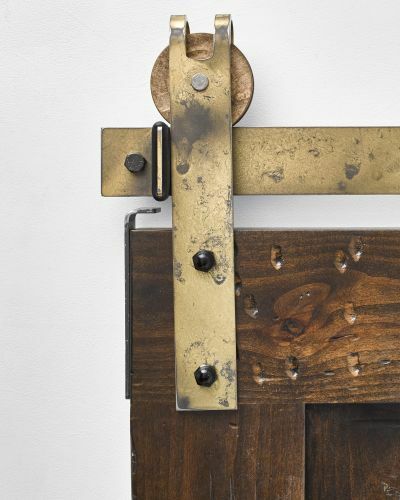 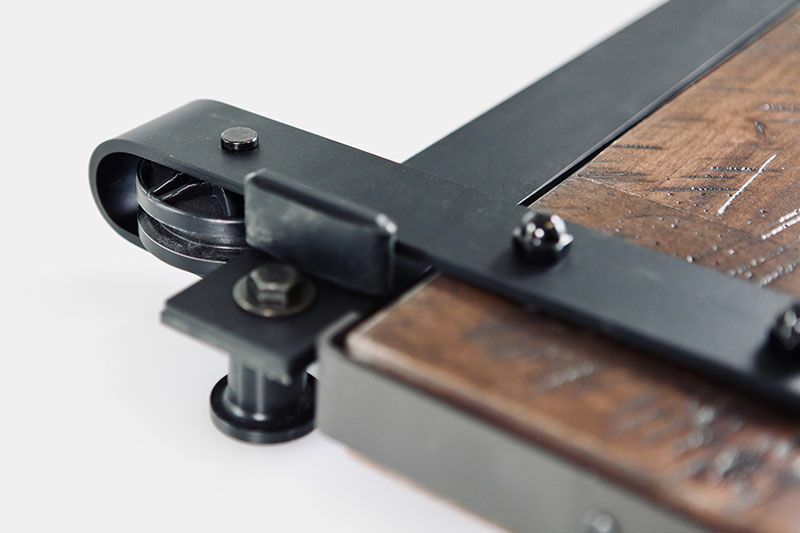 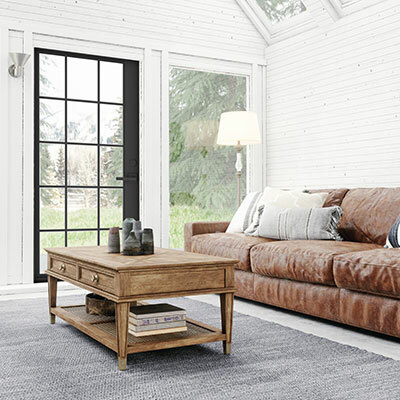 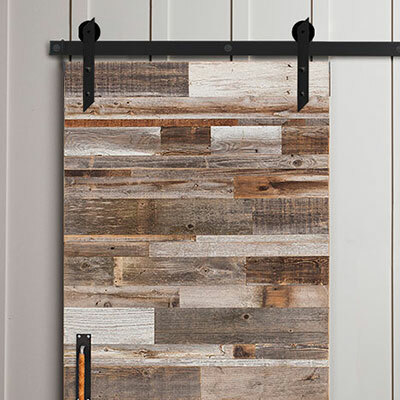 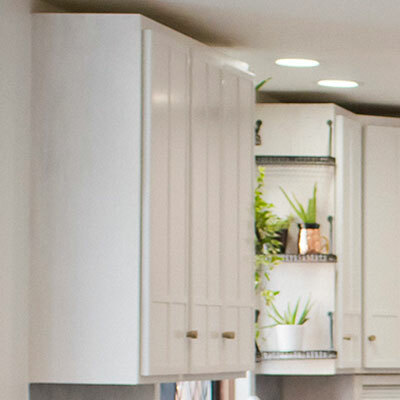 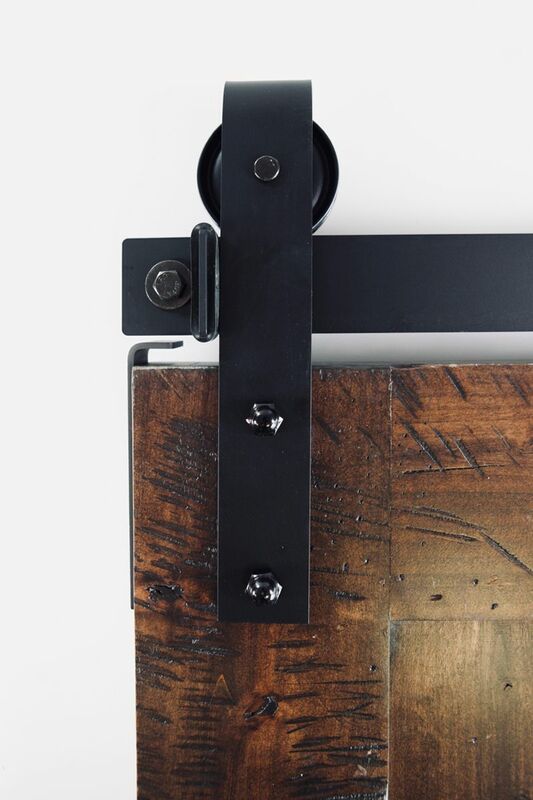 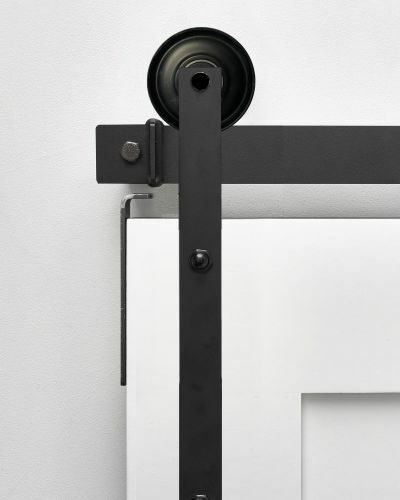 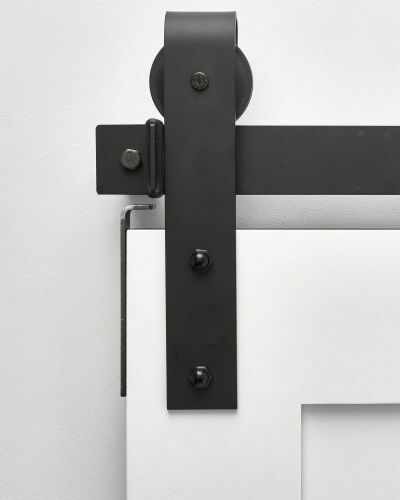 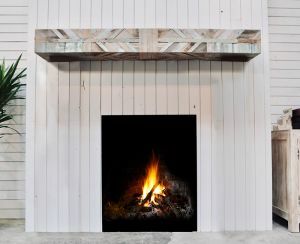 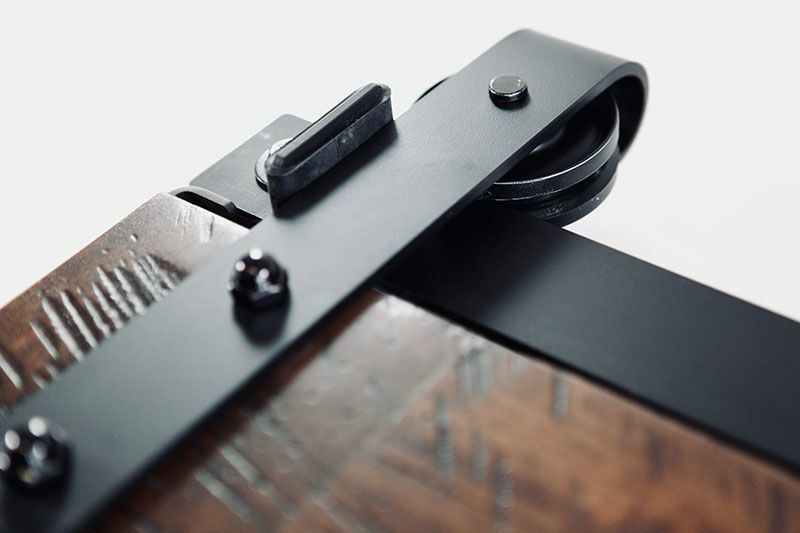 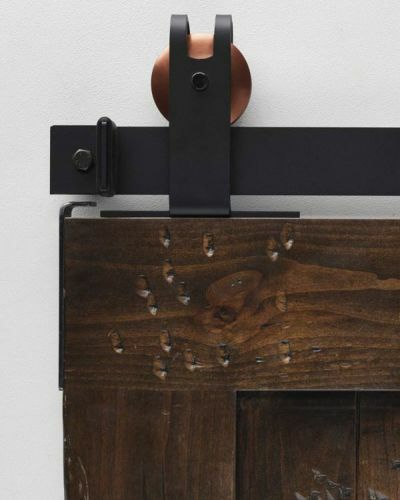 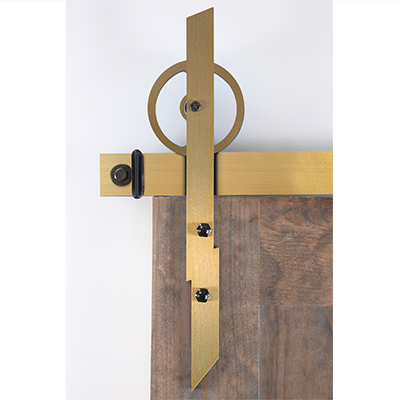 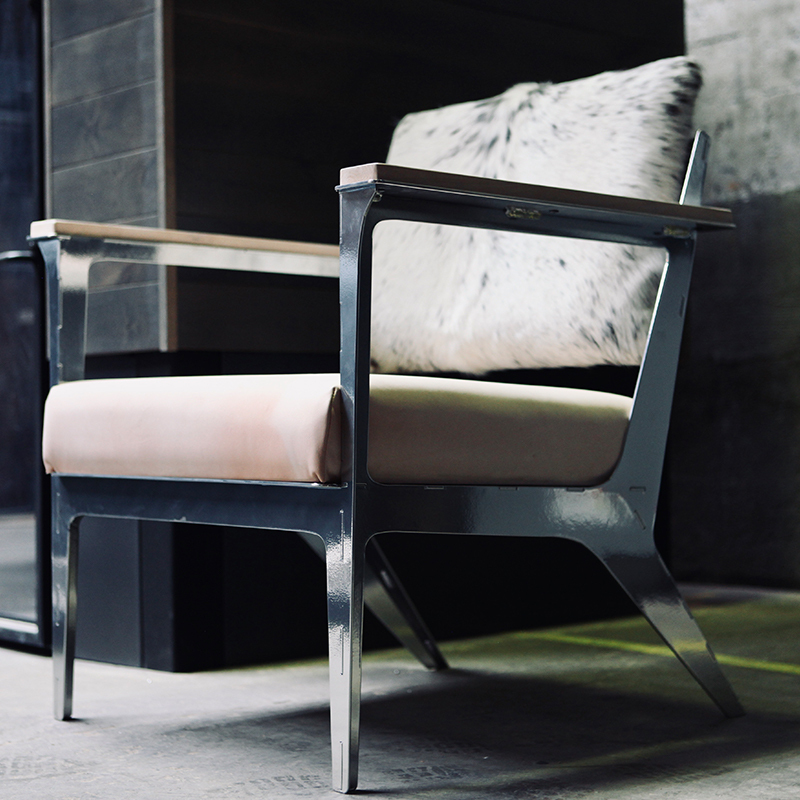 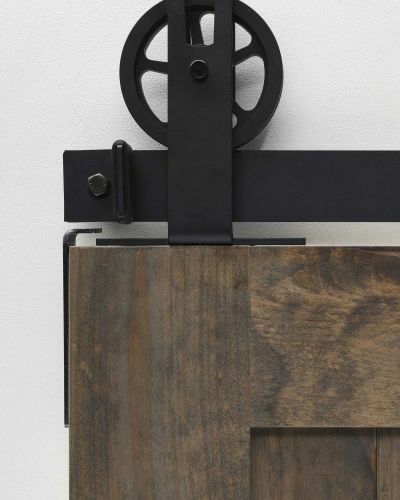 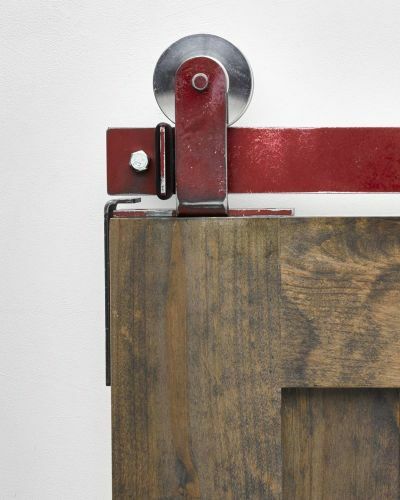 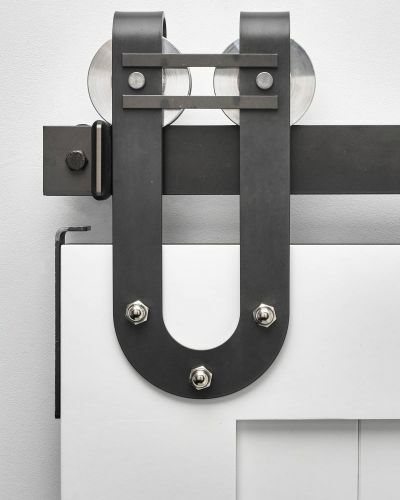 Characterized by its straight bottom edge and substantial metal strap that loops completely over the top of the wheel, the classic industrial barn door hardware is an unfussy workhorse. 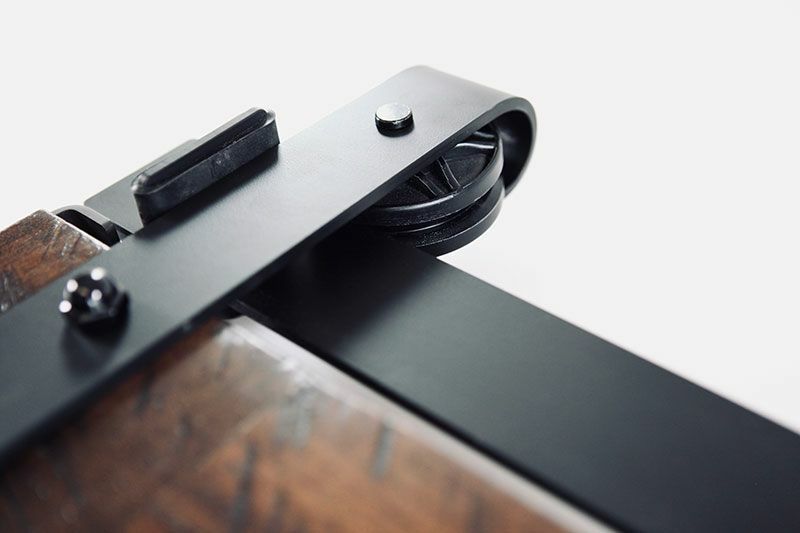 The wheel peeks out from either side of the strap as it rolls along the track, enhancing the unique look. 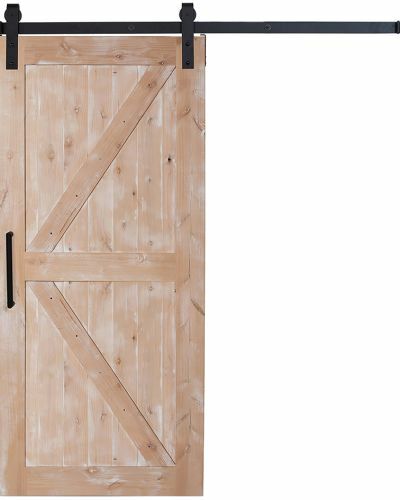 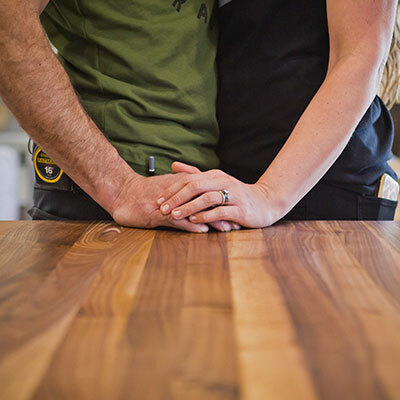 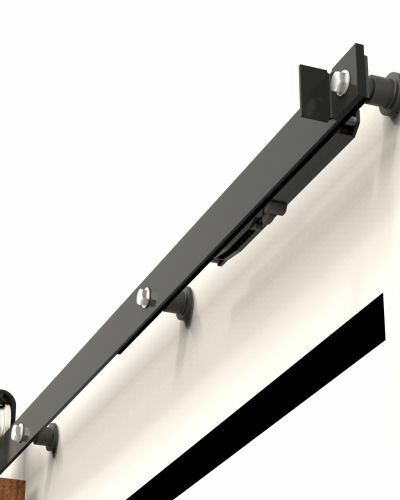 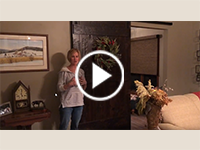 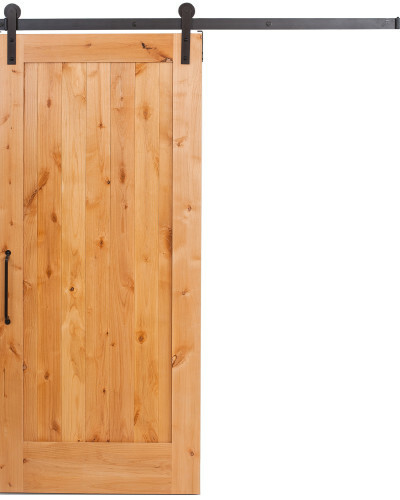 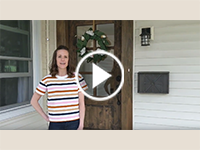 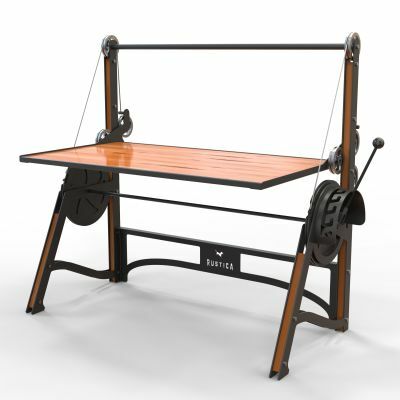 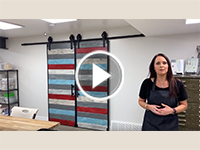 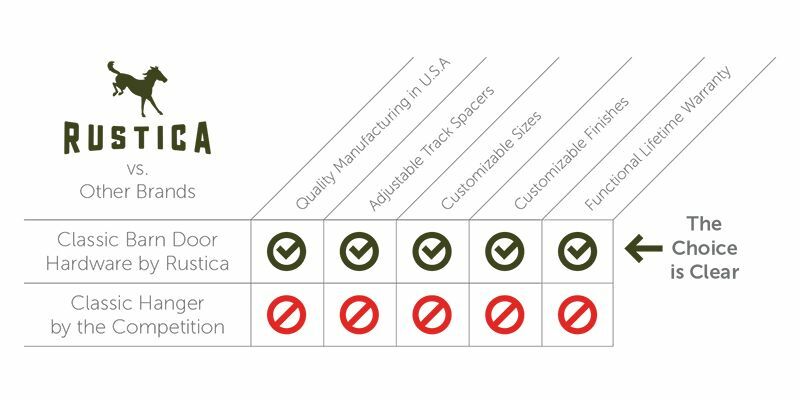 Looking for barn door hardware that you can have now? 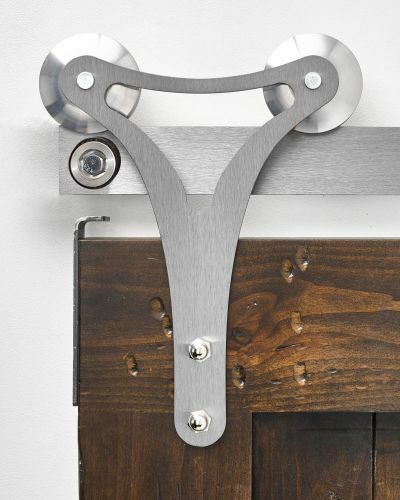 Check out our ready-to-ship hardware kit in our popular Stag style!